— Using data to identify real user problems. What is plants for fidO? Dog owners can quickly search for information about toxic plants to prevent pooch poisonings. For this project, I was challenged to search through data sets and hone in on a problem I wanted to solve with a useful digital product. 990+ plants are poisonous to dogs. Per the ASPCA, a large volume of pet poison hotline calls are about plants. Unfortunately warning labels aren't required on plants (USCPSC). That leaves the burden on consumers to find out which plants won't hurt their dogs. 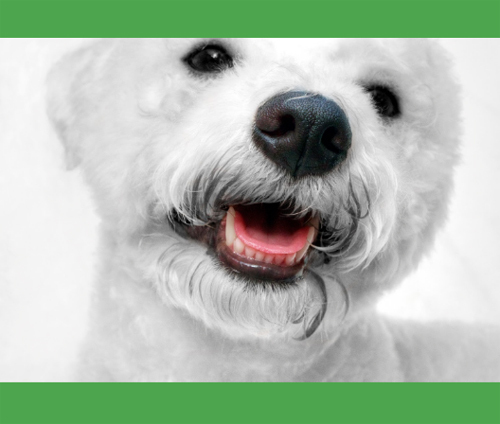 How can I help dog owners find out which plants are poisonous? Why this project? As a dog owner, this problem resonated with me. I analyzed the initial data I found in the discovery phase - the ASPCA spreadsheet. While the list had extensive information on the 990+ toxic plants, it was not easy to access or search using a phone on site. Printing it out and bringing it with you to the store was also not a good solution. I wanted to find out if any products currently help users solve this problem. I conducted a competitive analysis of digital tools in the app store and on the web. None of the products I found included the full list of toxic plants. Also, products weren't focused specifically on dogs - or on plants. I wanted to find out what point of sale information is available to users when they are buying plants. Can users get information about plant toxicity right when they need it most? I visited a garden center and nursery and scanned plant tags using the QR code or bar code. Unfortunately, warning info was missing on all the tags I checked. How do dog owners protect their fur babies from eating poisonous plants? What experiences have they had with this issue? How aware are people that some plants are toxic to dogs? Have they searched for this information? How? Why? When? Where were they? I created a discussion guide of both open-ended and motivation-oriented questions based on my research goals. 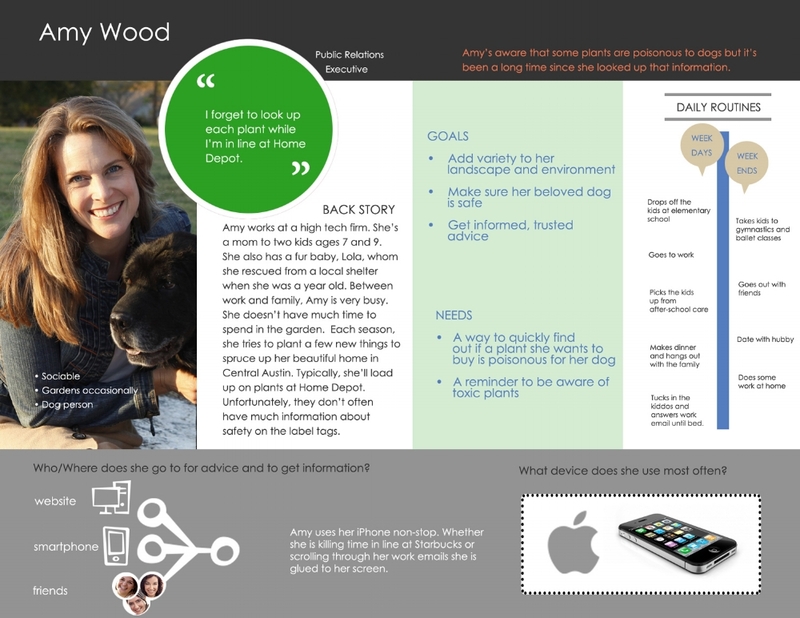 I conducted interviews with dog owners to learn stories about past experiences that would help me uncover pain points and user needs. Using my notes, I identified patterns to synthesize insights. I built a persona to act as a guide post for future product decisions. I wrote a scenario to illustrate what success looks like for the persona. I centered flow around a user conversation to help me focus on user needs. I included each of the task outline conversations. Initial feedback from design peers revealed that I needed to rework the main screen. I designed high-fidelity wireframes with these revisions. The intention of the new design was to help users understand the search options quicker. I used InVision to create a prototype for testing. 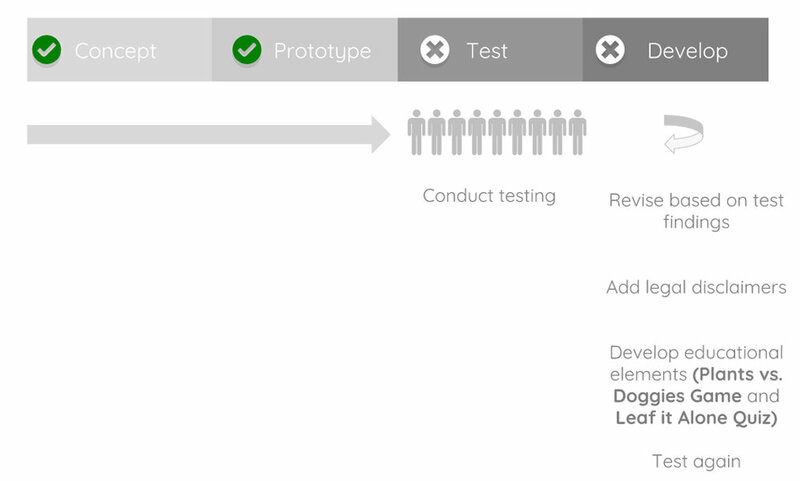 The next step is to conduct usability testing to find out if the app delivers benefits, reduces friction and has value. My preparation includes documenting my test objectives, creating a criteria worksheet and participant screener, and designing a test protocol. An important lesson that this project reinforced was the need to get feedback early in the sketching stage. Validating my designs though quick, rough iterations allowed me to see where I could provide better user solutions.